Long time no post, so here goes. 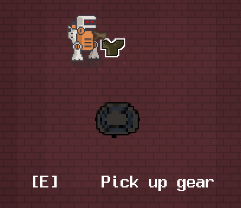 This drops a new world item and marks it as a specific gear type. I have made a bit of mess with my assets, so I will fix this up later. 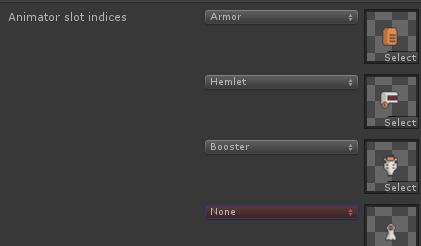 I will also need to add some level-based selection logic, because I don’t want to drop any old loot — I want better loot the further the player gets. Now, I thought a lot about the approach I want to take to distributing and unlocking gear. There are two factors at play here: the gameplay design and the actual time it takes me to implement all this, especially UI. After some consideration, I decided to simplify my systems a bunch. I also converted my gear asset to proper world item asset, with all the physics properties and ability to drop it in-game with the right properties and no special hackery. It’s hard to explain what exactly is wrong here. But, in short, some sprites should change and some should not. 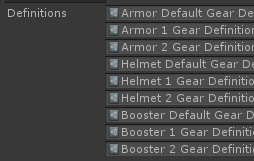 Which means I need a default value for some that don’t have a corresponding gear type. In short, I fixed it, but it was weird. I still need some feedback and comparison when they do, but I will cover gear UI in a separate post later. My player stat display is all broken and I will need to revisit it properly. Too many things happen when bonuses trigger and clear and the bars get confused and don’t re-update properly. When I started making changes to the gear, I had already completely forgotten what I was even doing before this and all the places that would break. 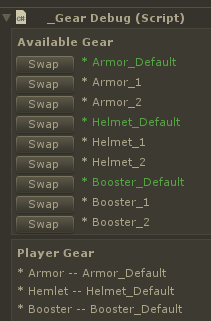 At least, I removed the need for a lot of extra stuff related to gear. Now I just need to fill it in with some actual content. I will likely cover this next. In fact, I hope many of my future posts are just boring lists of assets I have filled in with data and art placeholders, because that’s the most tedious thing that I absolutely need to do. As a side note, I took a month and a half long holiday/vacation. I didn’t really plan to though. You take a couple days off and suddenly it’s been a month since the last update. On the positive side, I still had made more updates that Uproot before that, and I also don’t want to quit now. I did do some other stuff during January, including an inventory and crafting system that I will likely talk about at some point. Just some pure coding with no Unity or all the other mess that comes with it. I might take it slower with updates so I don’t burn myself out too quick. We’ll see.